The Puretec PureMix Z6 high flow filter system provides higher sediment protection and is intended for harsher water quality applications. Ultra Z Filtration Technology to reduce unwelcome elements in your water, such as bad taste, odour, and chlorine. Its 3-lever filtration also protects against cysts and bacteria such as E. coli, leaving you with healthy, great tasting, clean, safe and pure water. Easy Installation - Ideal for stone bench tops. Mounts horizontally or vertically - no shelf cutouts required. 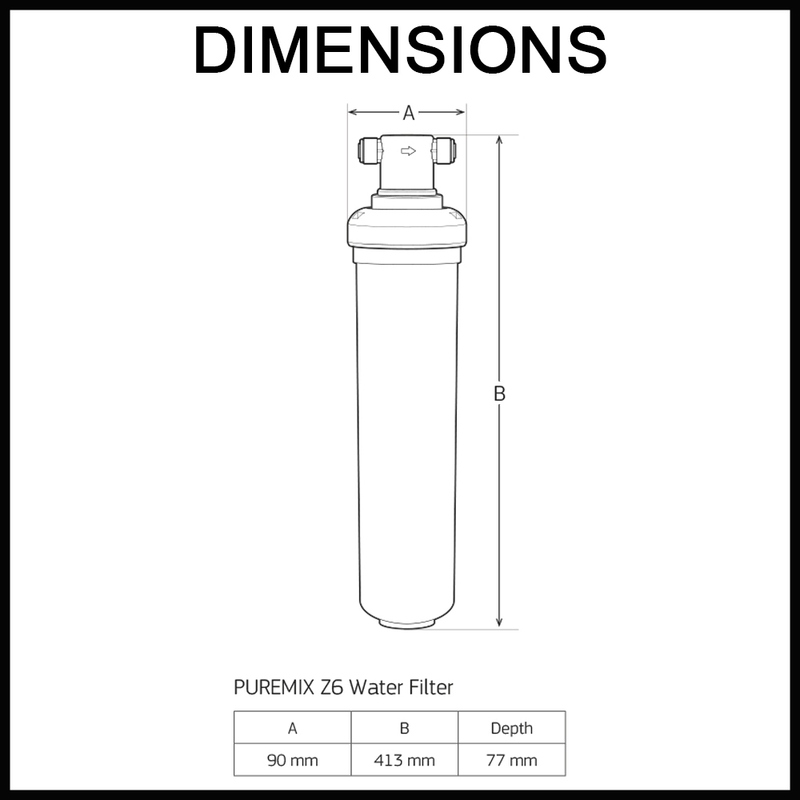 3-Stage Filter in one cartridge - Sediment, dirt and other particles filtered down to 0.1 micron* including Giardia and Cryptosporidium cysts.